Had the most beautiful awareness of being loved and protected during my sleep last night. Was just awesome!! 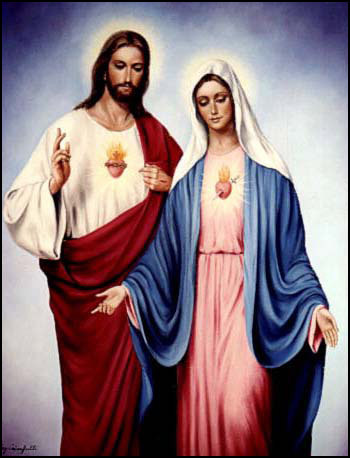 Mother Mary and her son were shielding me with with pure light of love. They were joining hands above my bed building this bridge of pure light. I was aware of this as I was awakening at times Was just … well.. such a bliss really. I have been on the ill side for the past week, now I am also getting a flue.. accompanied by various online attacks. all of this during my peak exams time.. I am so grateful I received holy prrotection last night during sleep. I woke up feeling much better and the head ache has now gone!! The greeting from the Light, I am Solama, and you are all wrapped in the purest light, transparent, crystal descends from above. We thank everyone for being here today, those who have come in your physical level and those who have come with their light body. We are far more than we see, many of us are today united in this meeting of souls and spirits. Some old travelers who long ago was not seeing from this group. Please leave your experiences in the comments section if you wish to share with us. I will approve only shares under these types of posts. You can also email me if you would like me to publish it for you. Common dreamflights happen every Saturday night, however most of us also go onboard during the week. So if this is your case, please post below. My own dreamflight was mainly with my twin flame, and our friends and families. Very enlightening to say the least. Dear Laura I had a strange dream i had on Friday night and I am not sure which week it belong to! But it was a dream that I was meant to have . I am not sure if this girl was me , so i will it send to you any ways. Beloved friends, we have always told you that Earth was a training ground for souls. Now more than ever you come to understand what we mean by that. Keep in mind that all that is being uncovered is for the highest good. All is coming into the obvious sight in these last days before the sacred heart connect with the divine for Mother Earth. Welcome to the Aurora Dreamflights 2.0! Hi Crew members and all participants of our dreamflights!